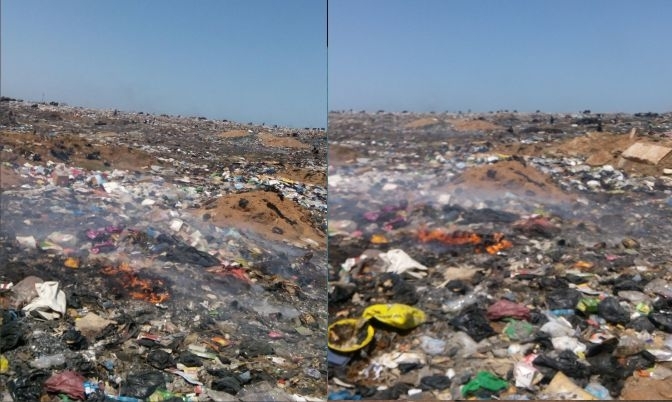 #CloseDumpSiteNow started trending Wednesday evening, June 15, because some concerned Ghanaians are fed up with illegal dumping site which is located near the Central Mosque, Abossey Okai, Accra. The frustrated Ghanaians took to Twitter to express their disgust over the issue, tagging President John Dramani Mahama in almost every post. Though, the president is still grieving over the demise of his mum, they feel the pressing issues should be tackled as soon as possible. “Your excellency my condolences on your lost but please sir .#CloseDumpSiteNow @JDMahama @AccraMetropolis @AbaAsamoah,” a tweep called Soku tweeted. They seemed very angry, tweeting almost every second. We have got some tweets for you to read. too bad what is going on at this dumpsites. #CloseDumpSiteNow @JDMahama @AccraMetropolis @AbaAsamoah …………. Let’s change our attitude towards waste disposal now. Believe it or not the #Hastings #CloseDumpSiteNow may be from these same victims.